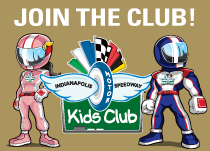 Applications may be submitted online, by mail or at the IMS Ticket Office. You will be asked to make at least three selections of stands in a variety of price ranges. If you are awarded tickets in one of those three locations, your credit card will be charged, and you cannot cancel your order. When will I be advised of my ticket assignment? New ticket applications are fulfilled after the processing of all renewal and upgrade requests. This generally occurs in early 2019. 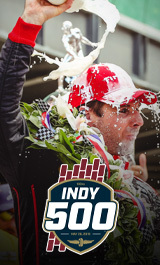 IMS views ticket applications as an intent to purchase. You will not be contacted to discuss options. Seat assignments are based on your choices, availability and the application date. Seats will be assigned based on the application date, and you will receive the best available seat that fits your request. All sales are final, no refunds. All specific requests, such as aisle, height, etc., should be noted in the text box provided during the application process. While every effort will be made to assign seats as requested, availability is determined by the volume of renewal orders, making specific requests difficult to fulfill. Best and closest available assignments will be made for those with specific or difficult requests. Please remember that aisle seats are at a premium. Only make those requests if you absolutely must do so, but your ticket quality will decrease. What if my ticket application cannot be fulfilled within any of my preferred choices of stands? If there is no availability within your stand choices, you will be contacted by an IMS Ticket Office Representative and given an opportunity to select from available locations. When setting up your account information, please include a daytime telephone number and accurate email address. If we cannot reach you and none of your selections can be fulfilled, you will not be assigned any tickets to the Driven2SaveLives BC39 powered by NOS Energy Drink. You can log in to your account at IMS.com to check the status of your ticket change (upgrade) or application request. An email will be sent once all changes and new applications have been processed. If an application was successful, your card will be charged on the date of your ticket assignment. An email will not be sent until all upgrades and applications have been processed. You will be asked to submit valid credit card information for any ticket application. As credit card transactions for new ticket requests will not occur until early fall, credit cards should have expiration dates into 2019. You may contact at any time the IMS Ticket Office to update your credit card information. 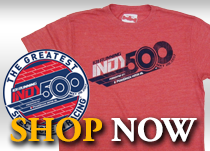 If I choose not to submit an application, when may I purchase tickets directly from IMS? Once all changes (upgrade) and new applications have been processed, IMS.com will open for live sales in early 2019.